Stormzy, Catfish and The Bottlemen and George Ezra will headline the TRNSMT music festival as it returns to Glasgow this summer. Grime artist Stormzy will headline on Friday July 12, with Scottish favourite Gerry Cinnamon and Years & Years also performing. Saturday July 13 will see Richard Ashcroft, former frontman of The Verve, play on the main stage at Glasgow Green, with Bastille appearing before headliners Catfish and the Bottlemen. Snow Patrol return to Scotland on Sunday July 14, with The Wombats, The Kooks and Jess Glynne also playing that afternoon before George Ezra closes the festival. Example, The Hunna and Circa Waves will also headline the King Tut’s Stage across the weekend at the park. Geoff Ellis, TRNSMT festival director, told the Press Association he was “relieved” to finally announce the billing. He said: “I’m very pleased with it, particularly on the Friday having Stormzy and Gerry Cinnamon – it’s fair to say they’re both people’s poets really. “They’ve both come from the street, they’re both very real and very connected with their fans, both have really energetic live shows. “Whilst they’re very different musically, I think they’ve got a lot more in common than people would think at first look. I think that’s a great line-up on the Friday. “Catfish and the Bottlemen are one of the biggest, strongest live acts to come out of the UK as a band since Kasabian and Arctic Monkeys – they’re a band that can sell tens of thousands of tickets in their own right. “Bastille have great anthems, likewise with Richard Ashcroft with all The Verve anthems. And DMA’s, Scotland seems to be their strongest territory. “On Sunday to have George Ezra close the show is a real fan’s favourite. Snow Patrol have been away for a long time and had a storming night at the Hydro a couple of weeks ago. Played a greatest hits song with a few new songs as well. The festival’s Facebook page gave fans clues about who was playing during a live quiz from 5pm, with the line-up worked out and announced shortly after. 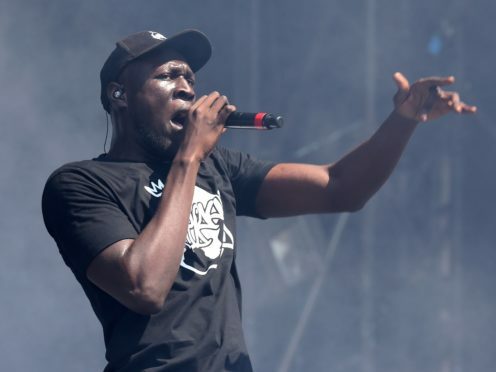 Londoner Stormzy will also headline one night of the famous Glastonbury festival the month before TRNSMT which Ellis said was a “coup” for Scotland. Speaking about Snow Patrol alluding to their TRNSMT appearance at a recent Glasgow gig, Ellis shrugged off the incident and said: “Sometimes these things slip out. In 2017 the inaugural TRNSMT was headlined by Radiohead, Kasabian and Biffy Clyro. Last year the festival was held over two weekends with Stereophonics, Liam Gallagher and Arctic Monkeys headlining one weekend and Queen + Adam Lambert and The Killers the other. Ellis added: “With TRNSMT some years we will hold it over two weekends and other years will just be one weekend – this year is just one. When asked about a possible return for T in the Park, Ellis said: “It’s all TRNSMT.